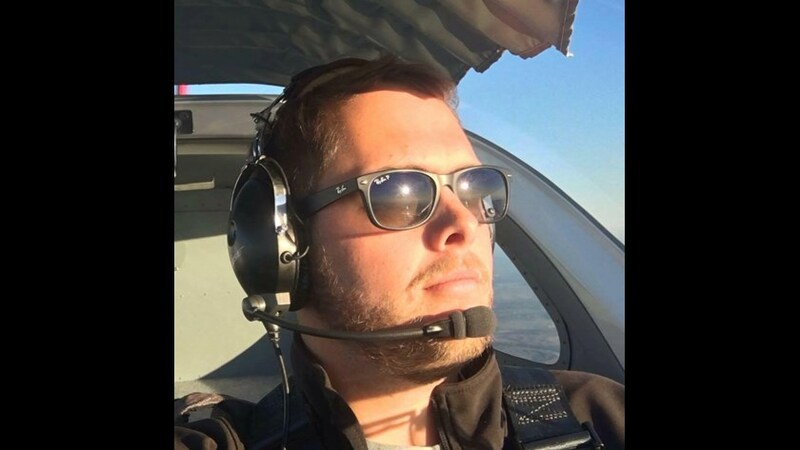 Henry "Hank" Mills Ewing, 28, was killed in a plane crash along with his uncle, Shannon Murphy Ewing, February 16th, 2017. Hank graduated from the University of Southern Mississippi and was a pilot for Seaborne Airlines. 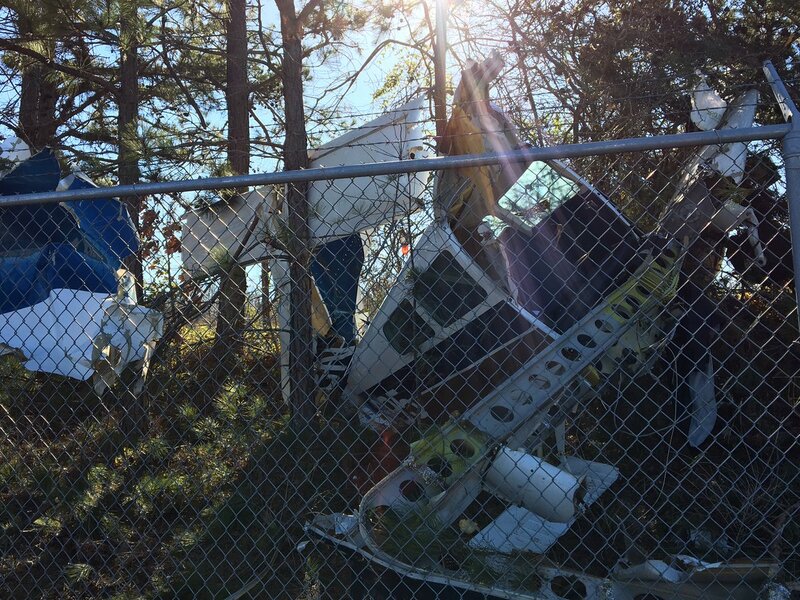 On February 16, 2017, about 1400 eastern standard time, a Beech C23, N24695, was substantially damaged when it impacted trees and terrain after takeoff from Barrow County Airport (WDR), Winder, Georgia. 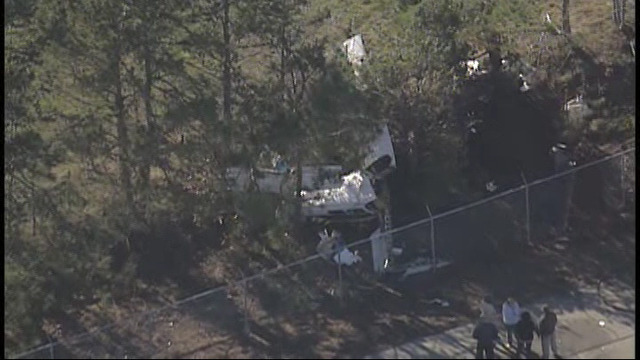 The flight instructor and student pilot were fatally injured. The airplane was privately owned and operated under the provisions of Title 14 Code of Federal Regulations (CFR) Part 91. Visual meteorological conditions prevailed, and no flight plan was filed for the local instructional flight. 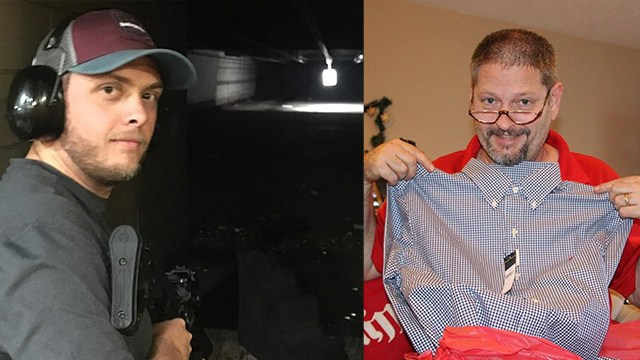 Review of airport security camera video revealed that the flight instructor and student pilot walked to the airplane about 1317. There were no witnesses to the takeoff nor was the takeoff captured by the airport security camera system. About 1357, a pilot who was inbound to WDR while about 5 miles north of the airport, heard a pilot transmit that they were departing Runway 31. The pilot looked for the departing airplane but never saw it. He then landed on Runway 31 and taxied to the ramp. About 1400, a witness observed the accident airplane pass from left to right in front of her (from north to south) as she was traveling east on Highway 82 near the northwest corner of the airport property. She reported that the airplane seemed to be flying low and fast and that, as it went over the highway, it began to nose down, then level out, then "tilt to the right about 1/4 or less." The witness then lost sight of the airplane due to trees. She thought she saw "a small puff of gray to the outside edge of the tree line" when she looked back. She later realized that this may have been the trees moving as the airplane struck them. She had her radio on in the vehicle and did not hear any sounds associated with the airplane. According to Federal Aviation Administration (FAA) and pilot records, the student pilot's most recent FAA third-class medical certificate was issued on January 30, 2017. At the time of the accident, he had accrued about 8 hours of flight experience. 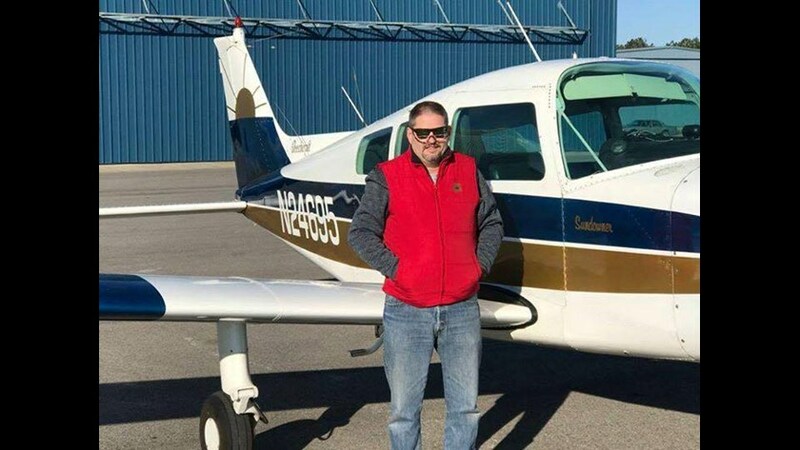 According to FAA and pilot records, the flight instructor held an airline transport pilot certificate with a rating for airplane multiengine land, and commercial privileges for airplane single-engine land. He also held a flight instructor certificate with a rating for airplane single-engine. His most recent FAA first-class medical certificate was issued on September 12, 2016. On the application for that certificate, he reported that he had accrued 1,650 total hours of flight experience of which 1,452 hours were as pilot-in-command; 530 of those hours were as a flight instructor. According to FAA and maintenance records, the airplane was manufactured in 1973. Over the intervening years between the date of manufacture and the accident, it had been modified from its original configuration by multiple alterations and additions, including the installation of a Garmin GS-430 GPS/Nav/Comm, an S-TEC System 30 autopilot, an intercom system, a strobe type tail anti-collision light, and a crankcase air/oil separator. On July 1, 1993, an FAA Form 337 was filed with the FAA that indicated that the firewall bulkhead at Station 68 had been replaced with a new firewall bulkhead and doubler plate. The airplane's most recent annual inspection was completed on October 3, 2016. At the time of the accident, the airplane had accrued about 2,680 total hours of operation, and the engine had accrued about 682 hours of operation since its last overhaul on January 2, 1998. The airplane was purchased by the student pilot and a friend of the student pilot (co-owner) on January 7, 2017. The co-owner stated that, after purchasing the airplane, he, the student pilot, and the flight instructor flew the airplane from Picayune, Mississippi, to Winder, Georgia. He had personally flown the airplane about 11 hours since the purchase, with about 6 of those hours as dual instruction with the accident flight instructor. He stated that the airplane had always performed well without any known mechanical defect that would have compromised safety in flight. The airplane was last refueled when he added 40 gallons of fuel to the tanks on January 14, 2017. The last time that the airplane had been operated before the day of the accident was February 4, 2017, when the co-owner took it on a 1.6-hour local solo flight. The co-owner reported that, on the occasions he had flown the airplane, they had luggage, airplane records, and manuals onboard and that he had always operated the airplane with at least two or three other people onboard, with the exception of the solo flight on February 4. At 1345, the reported weather at WDR included wind from 320° at 8 knots gusting to 14 knots, temperature 14°C, dew point -9°C, and an altimeter setting of 29.95 inches of mercury. WDR was owned by the Barrow County Airport Authority and was located 3 miles east of the city of Winder, Georgia. It was classified by the FAA as a publicly owned, non-towered, public use airport. The airport elevation was 943 ft above mean sea level (msl). There were two runways oriented in a 5/23 and 13/31 configuration. Runway 31 was asphalt and in good condition and was 5,500 ft long by 100 ft wide with a 0.5% downhill gradient. The runway was marked with precision markings in good condition and the threshold on the arrival end of the runway was displaced 602 ft. Thirty-ft-high trees were located 201 ft from the departure end of runway 31 and 300 ft right of the runway centerline. 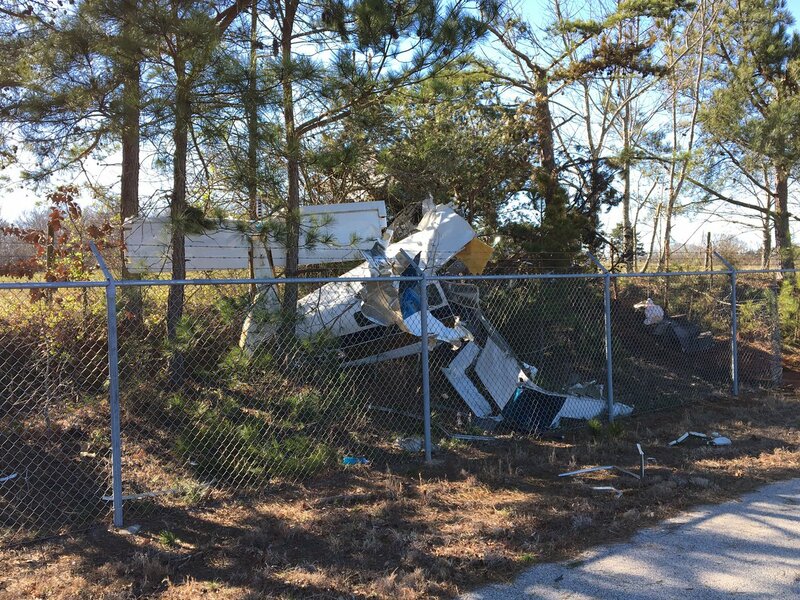 The accident site was located about 500 ft west of the runway 13 threshold adjacent to an airport access road, outside of the airport security fence, within and along a tree line, which was oriented on a 331°/151° magnetic heading. The tree line which ran parallel to the airport access road, was bordered on its east side by the airport security fence, and on its west side by a barbed wire fence which ran along the edge of an open field. The wreckage path, which was about 65 ft long, ran almost parallel within and along the tree line. The airplane had struck trees while traveling on a magnetic heading about 146°. Evidence of propeller strike marks were observed on several trees, along with cut limbs and separated branches. When first responders initially arrived, they attempted to cut through the airport security fence with a rotary saw to gain access to the wreckage. During this attempt, fuel from the airplane's left fuel tank ignited which they extinguished. Examination of the wreckage revealed that the airplane separated into several sections during the impact sequence. The left wing remained attached to the aft section of the fuselage. The right wing was attached to the aft fuselage with the leading edge separated from the spar. The right wing trailing edge, including the aileron and flap, were attached to the main spar. The wreckage displayed crush, compression, fragmentation, and tearing damage, with a large prominent depression in the forward cabin area which matched the diameter of a tree where most of the main wreckage came to rest. The manual flap handle was in the retracted (0°) position and the wing flaps were in the retracted position. The magneto switch was in the "BOTH" position. The landing light switch was in the "OFF" position, the navigation lights switch was in the "ON" position, the rotating beacon and strobes switch was in the "ROTATING BEACON ON" position, the pitot heat switch was off, and the A/P (autopilot) switch was in the "OFF" position. The "BATTERY & ALT" and "ALT" master switches were in the "ON" positions, and the "FUEL BOOST" switch was off. The fuel selector valve was in the "R TANK" position, and there was no evidence of blockage in the valve or fuel lines. The throttle and mixture controls were full forward, and the carburetor heat knob was in the off position. The airspeed indicator indicated 0 miles per hour. The attitude indicator indicated about a 45° left bank angle and a 40° nose-down attitude. The altimeter indicated about 740 ft msl. The Kollsman window indicated about 29.99 inches of mercury. The vertical speed indictor indicated an approximate 100 ft per minute descent, and the directional gyro indicated about 126°. The pitot tube did not reveal any evidence of blockage. Control continuity was established from the ailerons, stabilator, and rudder, to the breaks in the system to the flight controls in the cockpit. There was no evidence of any inflight fire, explosion, or structural failure. The propeller remained attached to the engine crankshaft flange. The engine, along with its cowling and the airplane's firewall, separated from the airframe during the impact sequence and came to rest nose-down in the tree line. The propeller spinner was crushed. One blade of the two-bladed propeller was bent aft about 90° about 8 inches inboard of the propeller tip and exhibited longitudinal twisting and trailing edge S-bending. The other propeller blade was bent forward about 80° about 12 inches inboard of the propeller tip and exhibited gouging on the trailing edge. One of the gouges was about 1 inch inboard of the inner propeller tip stripe and was about 1/4-inch long and 1/4-inch wide. The gouge appeared consistent with the propeller having contacted the barbed wire or chain link of the airport security fence. The engine drive train was rotated and continuity of the crankshaft to the rear gears and to the valve train was observed. Compression and suction were also observed on all four cylinders. The interiors of all four cylinders were examined with a lighted borescope and no anomalies were noted. The throttle, mixture, and carburetor cables were damaged when the engine and firewall separated from the airframe during the impact sequence. The other end of the throttle cable remained attached to the carburetor throttle arm. The arm was observed in the full-throttle position. The mixture control cable also remained attached to the carburetor mixture control arm. The arm was observed in the lean position. The carburetor heat cable remained attached to the induction air box arm. The cable was impact damaged and the carburetor air box heat valve was in an intermediate position. There was no evidence of any type of blockage in the engine intake or exhaust systems. The carburetor remained attached to the engine and no damage was noted. The carburetor was removed and partially disassembled. A small amount of liquid with an odor consistent with aviation gasoline was observed in the carburetor float bowl. Testing of the liquid with water finding paste was negative for the presence of water. The carburetor fuel inlet screen was absent of debris. No damage was noted to the composite floats or other internal components. The engine driven fuel pump remained attached to the engine and no damage was noted. The pump was removed and partially disassembled. Liquid with an odor consistent with aviation gasoline drained from the pump. No damage was noted to the rubber diaphragms or other internal components. Both magnetos remained attached to the engine and no damage was noted. Both magnetos produced spark from all ignition towers when rotated by hand. No damage was noted to the sparkplugs. The sparkplug electrodes were undamaged. The No. 1 cylinder top and bottom sparkplug electrodes were oily, consistent with the orientation of the engine as it came to rest. The starter remained attached to the engine and was impact fractured. The alternator remained attached to the engine. No damage was noted, and the alternator belt had remained in place. The vacuum pump had also remained attached to the engine and no damage was noted. The drive coupling, carbon rotor, and carbon vanes were intact. Oil was observed in the engine. No debris was noted in the oil suction screen or the engine oil filter. No damage was noted to the oil cooler or associated hoses. The Georgia Bureau of Investigation Division of Forensic Sciences, Decatur, Georgia, performed an autopsy of the student. The cause of death was multiple blunt force injuries. The examination was limited by the severity of injury; the brain could not be examined. No natural disease was identified. The FAA's Bioaeronautical Sciences Research Laboratory, Oklahoma City, Oklahoma, performed toxicology testing on specimens of the student with negative results. The Georgia Bureau of Investigation Division of Forensic Sciences, Decatur, Georgia, performed an autopsy of the pilot. The cause of death was multiple blunt force injuries. No significant natural disease was identified. The FAA's Bioaeronautical Sciences Research Laboratory, Oklahoma City, Oklahoma, performed toxicology testing on specimens from the pilot, which identified amphetamine at 0.082 µg/ml in urine and 0.007 µg/ml in cavity blood. Amphetamine is a Schedule II controlled substance available by prescription in several products intended to treat attention deficit disorders and narcolepsy. Levels consistent with the use of amphetamine as a medication (commonly called Adderall) are typically below 0.2 µg/ml; levels as low as 0.002 ug/ml may have psychoactive effects. Amphetamine is also addictive and can be used illicitly, often at much higher peak doses, but the level drops off as the drug is metabolized and significant withdrawal symptoms, including anxiety, irritability and poor judgment may occur as this happens. Amphetamine is not thought to undergo much postmortem redistribution, but cavity blood may be diluted by other body fluids and postmortem levels may not represent antemortem levels. A single, low, postmortem measurement cannot be used to determine medical use vs. illicit use. There is some evidence that use of medicinal amphetamine can decrease the crash risk associated with attention deficit disorders and narcolepsy, but it does not decrease the risk to average levels. A review of maintenance records revealed that the engine last received an overhaul 19 years before the accident. Engine deterioration in the form of corrosion (rust) and the drying out and hardening of composition materials such as gaskets, seals, flexible hoses and fuel pump diaphragms can occur if an engine is out of service for an extended period of time. Due to the loss of a protective oil film after an extended period of inactivity, abnormal wear on soft metal bearing surfaces can occur during engine start. Therefore, all engines that do not accumulate the hourly period of TBO specified in this publication are recommended to be overhauled in the twelfth year. 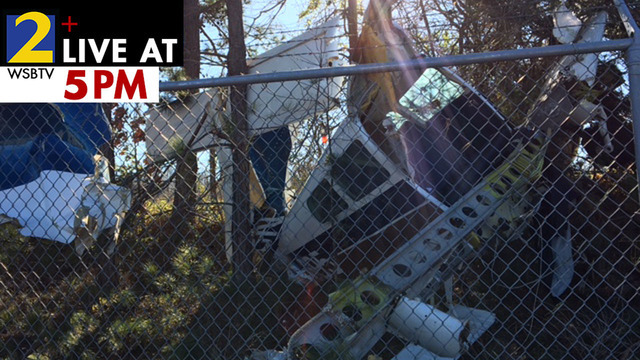 The combined weight of the flight instructor and student pilot was 407 pounds. Examination of the airplane revealed that there was no ballast in the baggage compartment or tail weight kit installed to counterbalance the weight of the front seat occupants. Review of weight and balance data contained in the Beechcraft Sundowner 180 C23 Pilot's Operating Handbook and the FAA Approved Airplane Flight Manual (POH/AFM) indicated that, at the time of the accident, the airplane's center of gravity (CG) was forward of the airplane manufacturer's specified forward limit. The necessity for proper computation of the airplane's weight and balance cannot be overemphasized. In the basic design, it is planned that under normal loading the weight distribution of pilot, passengers, baggage, and fuel will balance the airplane for flight. Since these items are all variables, it is possible to concentrate weight in such a way as to make the airplane unsafe for flight. The factors which must be considered in the weight and balance of the airplane are the installation of equipment after the airplane has been weighed, trapped or unusable fuel, engine oil, usable fuel, pilot and passenger weights, and baggage or cargo. If an airplane is loaded so that the CG is forward of the forward limit, it would require additional control movements for maneuvering the airplane with correspondingly higher control forces. The pilot may have difficulty during takeoff and landing because of the elevator control limits, and that if an airplane is loaded aft of the aft CG limitation, the pilot will experience a lower level of stability. Airplane characteristics that indicate a lower stability level are; lower control forces, difficulty in trimming the airplane, lower control forces for maneuvering with attendant danger of structural overload, decayed stall characteristics, and a lower level of lateral-directional damping. According to the Pilot's Handbook of Aeronautical Knowledge (FAA-H-8083-25B), compliance with the weight and balance limits of any aircraft is critical to flight safety. Operating above the maximum weight limitation compromises the structural integrity of an aircraft and adversely affects its performance. Operation with the CG outside approved limits will result in control difficulty. Balance refers to the location of the CG of an aircraft and is important to stability and safety in flight. The CG is a point at which the aircraft would balance if it were suspended at that point. The primary concern in balancing an aircraft is the fore and aft location of the CG along the longitudinal axis. The CG is not necessarily a fixed point; its location depends on the distribution of weight in the aircraft. As variable load items are shifted or expended, there is a resultant shift in CG location. The distance between the forward and back limits for the position of the center for gravity or CG range is certified for an aircraft by the manufacturer. The pilot should realize that if the CG is displaced too far forward on the longitudinal axis, a nose-heavy condition will result. Loading in a nose-heavy condition causes problems in controlling and raising the nose, especially during takeoff and landing. The pilot's natural correction for longitudinal unbalance is a change of trim to remove the excessive control pressure. Excessive trim, however, has the effect of reducing not only aerodynamic efficiency but also primary control travel distance in the direction the trim is applied. Limits for the location of the CG are established by the manufacturer. These are the fore and aft limits beyond which the CG should not be located for flight. These limits are published for each aircraft in the Type Certificate Data Sheet (TCDS), or aircraft specification and the AFM or POH. If the CG is not within the allowable limits after loading, it will be necessary to relocate some items before flight is attempted. The forward CG limit is often established at a location that is determined by the landing characteristics of an aircraft. During landing, one of the most critical phases of flight, exceeding the forward CG limit may result in excessive loads on the nosewheel, a tendency to nose over on tailwheel type airplanes, decreased performance, higher stalling speeds, and higher control forces. In extreme cases, a CG location that is beyond the forward limit may result in nose heaviness, making it difficult or impossible to flare for landing. The publication also cautioned that it is possible to load some aircraft in such a manner that they will be out of CG limits even though the useful load has not been exceeded. Because of the effects of an out-of-balance or overweight condition, a pilot should always be sure that an aircraft is properly loaded. 14 CFR Part 23 requires establishment of the ranges of weights and CGs within which an aircraft may be operated safely. The manufacturer provides this information, which is included in the AFM, type certificate data sheets, or aircraft specifications. While there are no specified requirements for a pilot operating under 14 CFR Part 91 to conduct weight and balance calculations prior to each flight, 14 CFR Part 91, requires the pilot in command to comply with the operating limits in the approved AFM. These limits include the weight and balance of the aircraft. To enable pilots to make weight and balance computations, charts and graphs are provided in the approved AFM. Student pilot and flight instructor = May they rest in peace.